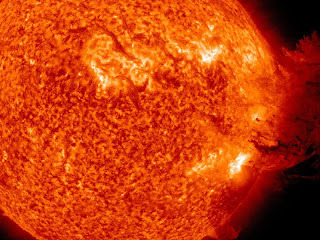 The sun's magnetic poles have reversed polarity, according to NASA, officially marking the peak of solar Cycle 24, the weakest cycle in a century. Meanwhile, Forbes.com is quoting solar physicist Mark Giampapa of the National Solar Observatory in Arizona as saying he believes we "are heading into a Maunder Minimum," referring to a period from 1645 to 1715 in which there were few to no sunspots over several 11-year solar cycles. If that's the case, said Giampapa, we could be suffering from low sunspot counts into the 2080s. With or without sunspots, the number of licensed hams in the United States continues to grow and set new records. According to the database maintained by Joe Speroni, AH0A, there were 717,201 licensed amateurs in the United States at the end of 2013, up more than 7,000 from the beginning of the year. According to the ARRL Letter, ARRL-VEC Manager Maria Somma, AB1FM, says the number of new licensees in 2013 increased by 7 percent over 2012, and that the number of club licenses in the FCC database is also at an all-time high. Cuba, Canada, Spain and the Czech Republic are the most recent countries authorizing amateur radio operation on the 5-MHz, or 60-meter, band. The ARRL reports on its website and in the ARRL Letter that Cuba has granted secondary access to the band for hams, from 5418-5430 kHz, without the channels seen in the US and many other countries. Authorization will be on an individual basis. Canada has opened the band to all of its hams on a non-interference basis, using the same channel plan as in the US. Spain has authorized six channels on 60 meters for ham use, but they do not match up with the frequencies authorized in the US and Canada, so plan to operate "split" for QSOs with Spanish hams. Finally, the Czech Republic has authorized up to ten of its amateurs to use the band on an experimental basis during 2014. The International Amateur Radio Union's Region 1 Monitoring System is reporting the return of over-the-horizon radar signals originating from Russia on the 20, 15 and 10-meter bands. Similar signals disrupted the ham bands during the Cold War and at the time were dubbed the Russian "woodpecker" because of the rat-a-tat-tat sound the signals make. According to Newsline, the report also cites ongoing interference from Russian taxicab drivers using FM on the low end of 10 meters. Kay Craigie, N3KN, was elected to her third two-year term as ARRL president at the organization's annual meeting held in January in Connecticut. She is the League's first female president. Also re-elected was First Vice President Rick Roderick, K5UR. Northwestern Division Director Jim Fenstermaker, K9JF, was elected second vice president. Jay Bellows, K0QB, was chosen as international affairs vice president and Rick Niswander, K7GM, was re-elected treasurer. 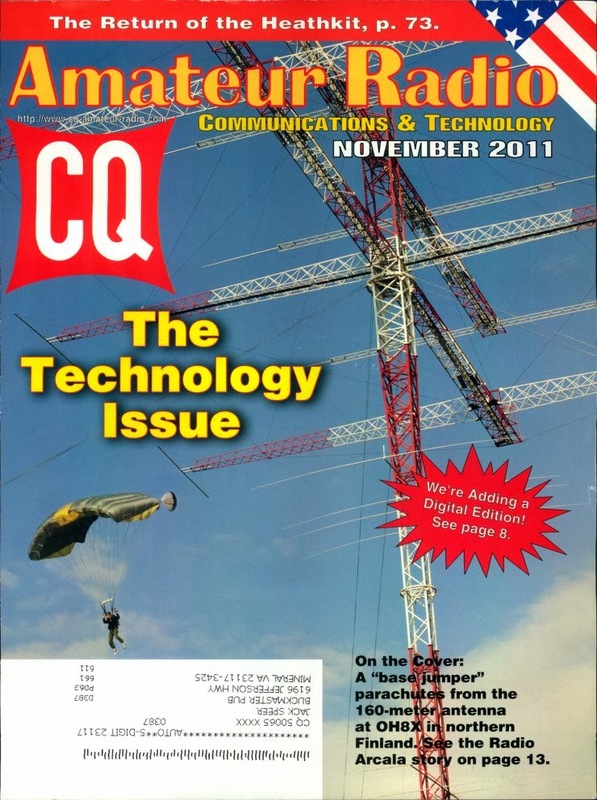 CQ Plus columnist and CQ contributor Carl Luetzelschwab, K9LA, has been awarded the 2013 Bill Orr, W6SAI, Technical Writing Award by the ARRL Foundation. He was honored specifically for his article, "The Sun and the Ionosphere," which appeared in the March, 2013 issue of QST. The late Bill Orr was a CQ columnist and author. Two prominent hams became Silent Keys in December and January. 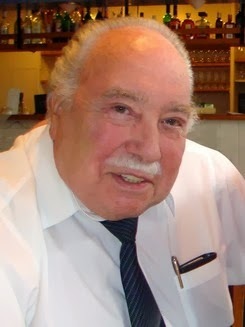 The ARRL Letter reports that Max de Henseler, HB9RS, the founder and president emeritus of United Nations Radio Club, 4U1UN, passed away at age 80 on December 30. The club originally held the U.S. call sign of K2UN - which it still uses for operations outside the UN Headquarters complex - and de Henseler personally persuaded the Secretary General in 1978 to approve the use of the 4U1 prefix and to authorize the use of 4U1UN for the headquarters ham station (which has been off the air since 2010 due to renovation of the Secretariat building). 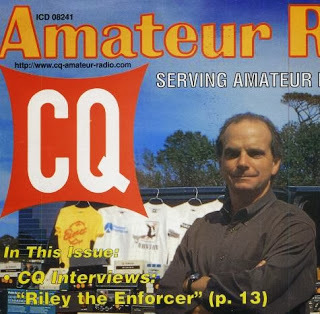 CQ DX Hall of Fame member and former WorldRadio columnist Jack Troster, W6ISQ, became a Silent Key on January 11, according to an announcement by Northern California DX Foundation (NCDXF) President Rusty Epps, W6OAT. Troster was one of the co-founders of NCDXF in 1972. He was elected to the CQ DX Hall of Fame in 1988. Ten-Tec CEO Jack Burchfield, K4JU, turned over responsibilities for the manufacturer's day-to-day operation to company president Jim Wharton, NO4A, as of January 1. According to the ARRL Letter, Wharton says Burchfield will remain CEO and the company's majority stock holder, but plans "to begin retiring and spending more time with his family." The digital amateur television (DATV) transmitter aboard the International Space Station is due to be commissioned over a period of several weeks in February and March, according to the ARRL. Commissioning will be done in several stages by Astronaut Mike Hopkins, KF5LJG. Once active, the station will downlink digital video signals on 2.395 GHz, beginning with a 25-day continuous transmission of a blank video signal (with no camera attached). However, decoding the signal should result in the channel name "HAMTV" appearing on the screen. For updates and more information, visit the ARISS-Europe website at <www.ariss-eu.org/>. Also on board the ISS are four amateur radio cubesats, which were delivered by a resupply rocket in early January. According to the AMSAT News Service, LituanicaSat-1, LitSat-1, ArduSat-2 and UAPSat-1 are all scheduled to be deployed from the space station in the coming months. LituanicaSat-1 carries an FM transponder and a packet digipeater (2-meter uplink; 70-centimeter downlink for both) and a 70-cm. CW beacon. LitSat-1 is believed to have a linear transponder for SSB/CW communications, with uplink on 70 centimeters and downlink on 2 meters. UAPSat carries a packet digipeater (2m up, 70 cm down) and ArduSat - an Arduino-based satellite - will be downlink-only, transmitting digital signals on 70 centimeters. Nine hams who, "through their own service, creativity, effort and dedication, have made a significant contribution to amateur radio," have been awarded the Yasme Excellence Award for 2013, according to the Yasme Foundation. The new honorees are: Tom Roscoe, K8CX, for his "Hamgallery" history website; Lee Sawkins, VE7CC, for writing filtering software for the DX Cluster spotting network; low-band authority John Devoldere, ON4UN; a group of four hams who have helped make FCC database information readily available - Michael Carroll, N4MC; Eldon Lewis, K7LS; Dean Gibson, AE7Q, and Joe Speroni, AH0A; ham video producer Ken Claerbout, K4ZW and Ashraf Chaabani, 3V/KF5EYY, who is leading an effort to bring individual amateur licensing to Tunisia, and serving as a representative for amateur radio throughout northen Africa. Each awardee receives a cash grant and an engraved crystal globe.For details, visit <www.yasme.org>. 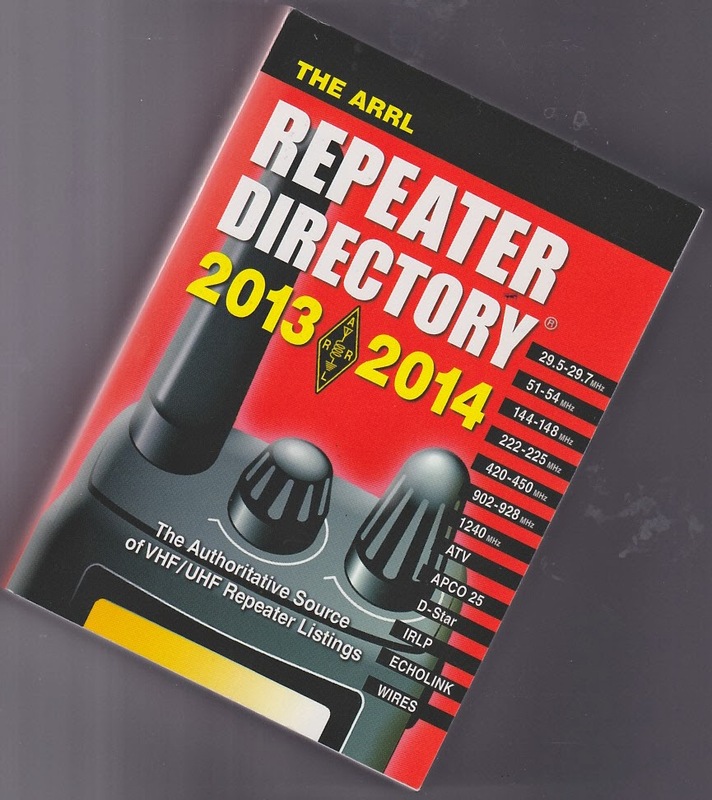 In a reversal of a long-standing policy, the ARRL says repeater owners may now submit updated information for their ARRL Repeater Directory listings directly to the ARRL. Past policy had required that updates come only from frequency coordinators. ARRL Publications Manager Steve Ford, WB8IMY, stressed to the ARRL Letter that this is not a substitute to sending updates to your local coordinator, but rather only a streamlined process for keeping the Repeater Directory up to date. "It also isn't a substitute for formal coordination of a new repeater," he added. "Only repeater coordinators can do that." Antique Radio Classified, which has not published in several months due to rising printing and postage costs, has returned as a hybrid digital-print publication. Publisher Jon Kummer, WA2OJK, says the magazine is being published monthly online, effective with the February issue; with each three months' worth of issues then combined into a single print issue that will be mailed to subscribers. For more information, see <www.antiqueradio.com>. We previously reported that the Voice of Russia (formerly Radio Moscow) had ended all shortwave broadcasts as of January 1, 2014. 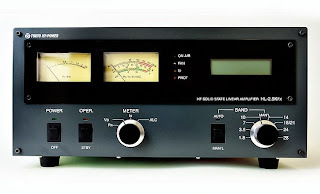 In early January, the ARRL Letter reported that shortwave listener and blogger Tom Witherspoon, K4SWL, had heard directly from the broadcaster that "the Voice of Russia will stay on the air in 2014." However, it said there would be "considerable changes in our frequency schedule." Most of the station's transmissions are now aimed toward the Middle East and Asia. The two licensed amateurs in South Sudan both report that they have taken their stations off the air and shipped their equipment out of the country "in order to avoid misunderstandings" with either side in the growing ethnic conflict that as of late December had claimed over a thousand lives. According to a report on the ARRL website, Massimo Stella, Z81B (also IZ0EGB), and Diya al Asadi, Z81D (YI1DZ), said they expect to be off the air "for a while." Stella was in Europe while al Asadi remained in South Sudan. Both of them had been part of the Z81X operation from South Sudan in November, along with CQ DX Editor Wayne Mills, N7NG, who reports on that expedition and associated activities in his column in the February issue of CQ. (Please note that Wayne filed his column prior to the outbreak of violence in the country). The massive 330-foot tower supporting the 160- and 80-meter Yagis at Radio Arcala's OH8X contest station in Finland collapsed under high winds in an early December storm that left some 200,000 families in the country without power. The 3-element 160-meter beam was reportedly the world's largest amateur radio antenna. According to the ARRL Letter, group spokesman Jarmo Jaakola, OH2BN, speculated that the automation designed to enable the array "to find its most comfortable position in high winds" may have locked up and caused the structure to corkscrew. Jaakola said the tower - featured on the cover of the November 2011 cover of CQ - collapsed "peacefully" and caused no damage to any people or surrounding structures. At press time, inspectors were still trying to determine the exact cause of the failure. Citing the need for the law to keep pace with rapidly-changing communications technology, the two Congressmen in charge of telecommunications policy in the House of Representatives say they are planning a comprehensive review and update of the Communications Act. Representatives Fred Upton (R-MI) - Chairman of the House Energy and Commerce Committee - and Greg Walden, W7EQI (R-OR) - Chairman of the Communications and Technology Subcommittee - say the effort will take over a year. 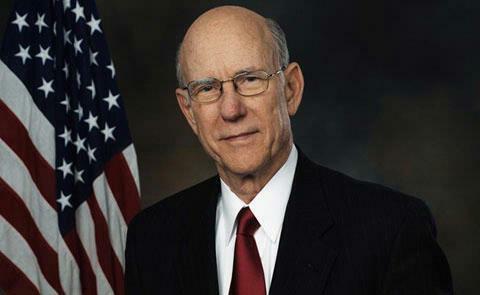 Walden said the Communications Act - first passed in 1934 and last updated in 1996 - is now "painfully out of date" and said the committee's goal is "to make sure this critical sector of our economy thrives because of the laws around it, not in spite of them." No timeline was given in the committee's announcement. The ARRL has been authorized by the FCC to use the special callsign W100AW during 2014, the League's centennial year. According to the ARRL Letter, the special call will be used in addition to W1AW, depending on the circumstance. Contacts made from the Maxim Memorial Station at ARRL Headquarters will use W100AW, as will those from regional conventions and during the IARU HF Championship this summer. However, regular bulletins and code practice transmissions will still use W1AW, as will stations operating in the "W1AW WAS" program from each of the 50 states. 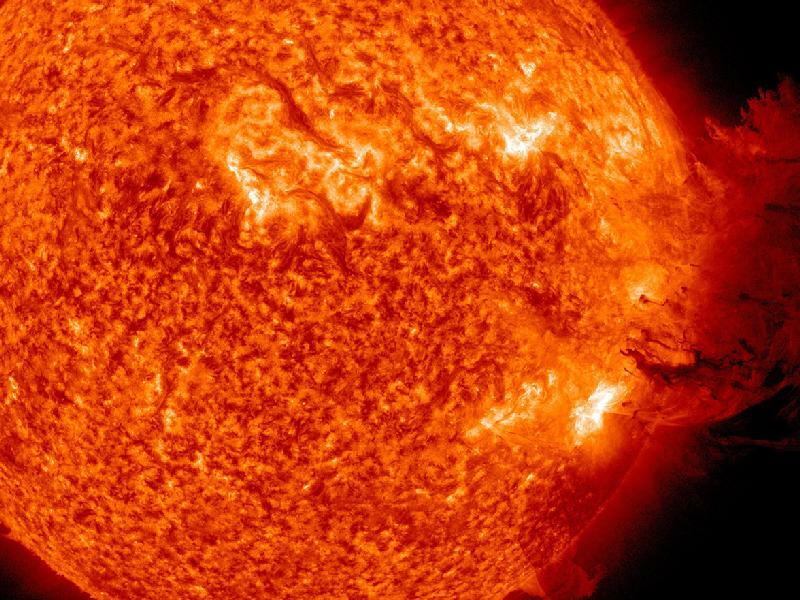 The current solar cycle is the weakest of the past ten cycles, according to four solar scientists reporting on "space weather" at the fall meeting of the American Geophysical Union. The ARRL Letter reports that the four -- Nat Gopalswamy and Martin Mlynczak of NASA, Stanford's Leif Svalgaard and Joe Giacolone of the University of Arizona - say a weak polar magnetic field during Cycle 23 is thought to be the mechanism behind the weakness of Cycle 24. By continuing to track the polar magnetic field, said Svalgaard, it should be possible within a few years to predict the robustness (or lack of robustness) of Cycle 25. The group did not directly address the impact of the current weak cycle on radio propagation. Many hams who came of age during the Cold War recall listening to the thinly-disguised propaganda broadcasts of Radio Moscow booming in on their shortwave receivers. After the fall of the Soviet Union, the station was renamed the Voice of Russia but maintained a busy shortwave broadcast schedule. It began cutting back last year, though, and as of January 1, 2014, eliminated all shortwave broadcasting. The station will continue to reach out to international audiences via medium-wave broadcasting and the internet. Two American astronaut-hams repaired the International Space Station's cooling system during a dramatic Christmas Eve spacewalk, replacing a failed ammonia pump. According to Newsline, astronauts Mike Hopkins, KF5LJG, and Rick Mastracchio, KC5ZTE, each took two spacewalks as part of the repair mission -- removing the faulty pump on December 21st and installing a new one on the 24th. The astronauts were outside the station for more than seven hours, in part because an ammonia fluid line sent frozen flakes of the substance right at them, with some sticking to their spacesuits. They had to wait until the ammonia on their suits dissipated before re-entering the station, to avoid possible contamination. In a related story, the ARRL Letter reports that former astronaut Susan Helms, KC7HNZ, has renewed her interest in amateur radio, regaining both her license and her callsign, which she'd allowed to expire in 2005. Helms, a Lieutenant General in the Air Force, is now the senior officer at Vandenberg Air Force Base in California. Her interest reportedly was reignited by an activity hosted by the Satellite Amateur Radio Club, W6AB, for Scouting's 2013 Jamboree on the Air. During a tour on the International Space Station in 2001, Helms used NA1SS for the first ARRL Field Day operation from space. The Juno spacecraft is headed for Jupiter. 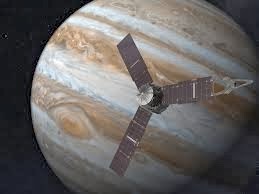 Hams around the world made coordinated transmissions last fall on 10 meters, sending "HI" in very slow Morse code to the sensors on the Juno spacecraft as it swung past Earth for a gravity boost on its journey to Jupiter. A video on the activity has been produced by NASA's Jet Propulsion Laboratory and is available on YouTube at <http://bit.ly/18PeGcI>. A more detailed article on the activity is planned for the March issue of CQ Plus. UK-based InnovAntennas has acquired Force 12 antennas of Bridgeport, Texas and consolidated its manufacturing activities with InnovAntennas America's facility in Grand Junction, Colorado. According to the InnovAntennas Facebook page, the combined facility "is in full swing and we are shipping, building and shipping antennas … daily." At the end of December, Japanese amplifier manufacturer Tokyo Hy-Power filed for bankruptcy and closed its manufacturing plant near Tokyo. The company's main website has also been closed down, although its US website remains active. According to a report on the ARRL website, company President and CEO Nobuki Wakabayashi, JA1DJW, said "the recent depression in the industrial RF power products area has led to the very difficult financial position." 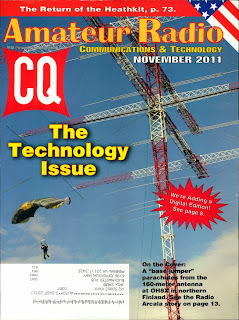 CQ Communications has realigned its publication lineup, merging Popular Communications, CQ VHF and WorldRadio Online into CQ Plus, a supplement to the digital edition of this magazine, effective with this issue. See below for more information, as well as individual magazine websites and the January issues of CQ and WorldRadio Online. The National Conference of Volunteer Examiner Coordinators has released the question pool that will make up Technician Class amateur radio license exams between July 1, 2014 and June 30, 2018. Newsline reports there was a brief mixup when the pool was first published on December 10, and that corrected questions were posted two days later. The new pool may be downloaded from <http://tinyurl.com/tech-questions-2014>. Exams given between now and June 30 will continue to be composed using the 2010 question pool currently in use. Retired FCC Special Counsel and CQ columnist Riley Hollingsworth, K4ZDH, has been honored with the Radio Club of America's Sarnoff Citation for 2013. The citation recognizes individuals for "significant contributions to the advancement of electronic communications." It has been given annually since 1973. The airwaves should be busier with callsigns from Kosovo, as 50 young Kosovars between 18 and 21 years of age passed their license exams at the first-ever amateur radio exam under the new laws of the Republic of Kosovo. According to a posting on the Southgate Amateur Radio Club's news page, the exam session at the Technical University of Pristina was supervised by members of the Exam Commission as well as International Amateur Radio Union Region 1 President Hans Blondeel Timmerman, PB2T and Project Goodwill Kosovo leader Martti Laine, OH2BH. Hams around the world are asked to help cover the costs of these exams, which at 50 Euros ($70US) per person, are significant expenses for young people in Kosovo. A Paypal account has been set up via <www.qrz.com/db/Z60A> for donations. Contributors will be assigned an amateur radio "grandchild" and provided a photo and other information about the new ham they are sponsoring. Several DX organizations have already pledged support. For more information, contact PB1T (president@eudxf.eu) or OH2BH (oh2bh@sral.fi).